Our philosophy is simple: do it once, and do it right to provide you with the excellence that you deserve. At Houser Roofing, we never sacrifice quality for the price. We offer our preventative maintenance programs to ensure the long-term performance of your new roofing system, combined with our affordable solutions and financing options. 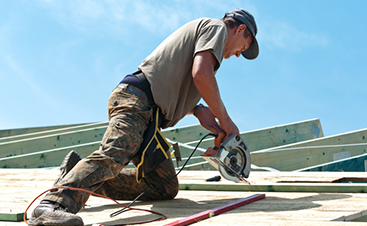 Our roofers work to make the entire roofing process as hassle- and maintenance-free as possible. Houser Roofing is a full-service roofing contractor, providing everything from asphalt shingles, wood shakes, and tile roofs to standing seam metal roofing, roof coatings, TPO roof systems, built-up roofs, and flat roofs. 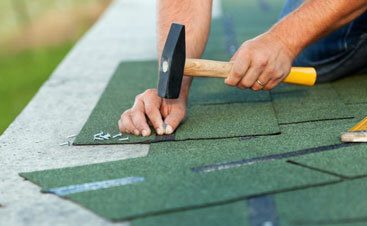 We also offer a variety of services, including roof maintenance, roof repair, and rain gutter installations. With more than 25 years of combined industry experience, we are the roofer to handle all of your roofing needs in Richmond, Wharton, Greatwood, and the surrounding Texas areas. We welcome the challenge of any roofing project. We go the extra mile, every time, hand-nailing our shingles into your roof and paying special attention to every last detail. We strive to be the leading company in the industry; we will meet or beat any written bid and still provide the best quality materials and workmanship. We are affiliated with reputable entities like the Sealy Chamber of Commerce, Fulshear Area Chamber of Commerce, Brenham Chamber of Commerce, Eagle Lake Chamber of Commerce, and the Columbus Chamber of Commerce. We believe that we are successful roofers because of our customers; we are committed to you and your complete satisfaction. We build long-term relationships with our clients, and we thank every one of our them for giving us the opportunity to earn their business. We are so dedicated to this commitment that we offer an 8-Year Workmanship Warranty. including siding, turn-key metal buildings and more! From small repairs to complete metal roofing replacements, we have you covered! We offer start-to-finish solutions for every project. 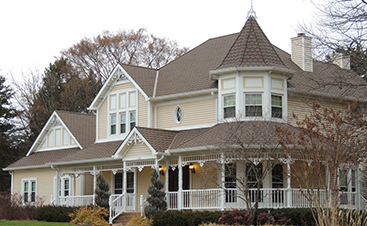 Family-owned and operated, we are a full service roofing and exterior contractor. Get started with our dependable team today! Still Not Sure If We're The Right Contractor For You? Read Some Of Our Client Reviews! ©2016 – 2019 Houser Roofing . All Rights Reserved.